Latest Author and Book News – November 15th 2011 – Plus! The Kindle Fire Is Shipping! Lots of cool tidbits today… and look. 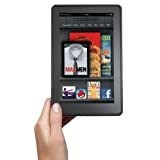 Amazon announced that the Kindle Fire is shipping (I think I read that it started shipping a day early, even)! Latest J.R. Ward Tidbits and News!